Orlando Fla. (July 19, 2017) — SawStreet® is among 50 statewide companies expected to see significant growth over the next several years. SawStreet® was selected from more than 500 nominees for Florida Companies to WatchSM, a statewide program managed by economic development group GrowFL, in association with the Edward Lowe Foundation.SawStreet’s management team, competitive market position and strong community involvement were among several factors that put them in contention for the award. 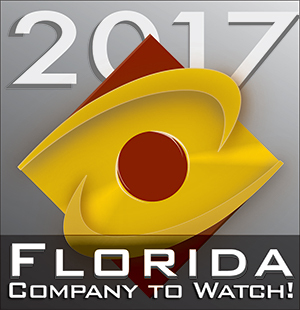 We are both proud and honored to be included in the 2017 Florida Companies to Watch Award," said SawStreet® CEO James Young. "SawStreet® benefits from having a dedicated group of employees who strive everyday to do their best to support our customers. This type of award is indeed validation of their hard work. SawStreet® works in the very competive semiconductor market that continues to evolve at a very fast pace and we are thankful to our customers who continue to provide us opportunities to help support their growth and evolution. We look forward to continuing this growth and having a positive impact in our community."